BOK Festival has since 2013 taken the concept of “interconnection, working hard and fighting with all you’ve got” and explored the possibilities and forward-looking nature of theatre, inviting every year artists from all circles and showcasing works of experimental theatre, bringing new shockwaves to the theatre world in Macau. Last year we introduced “Morais Theatre Village”, adopting the idea of establishing ties between small private theatres and connecting several theatres from the Avenida de Venceslau de Morais area. This year, the scope is even wider, linking four places: the Kun Iam Tchai Temple area, Estrada de Coelho do Amaral, Avenida do Almirante Lacerda and Rua dos Pescadores, in a total of 8 privately-run performance spaces. Those include Pou Fong Industrial Building, LIVE Music Association, Ox Warehouse, Hiu Kok Theatre, Wind Box Community, Step Out Small Experimental Theatre, Casa de Portugal and Hiu Kok Lab. Through concentrated non-governmental cultural resources, links are established and the community is connected to the global network. Apart from this, two state-owned spaces will also be featured, namely Macao Cultural Centre and Black Box Theatre at Old Court Building. ​BOK Festival is the result of a union between several non-governmental entities. It is organized by Own Theatre, Macau Experimental Theatre and Point View Art Association, with the help of several non-governmental groups from Macau, including Hiu Kok Theatre, Theatre Farmers, Macau Music Power and Rolling Puppet Alternative Theatre. BOK Festival, apart from providing local artists with a platform for artistic innovation, also introduces the Macau public to the local arts spaces in community, proving that the “theatre” is not something out of reach, and can be just around the corner in the most common and approachable of spaces. It builds a more vibrant artistic atmosphere for the local community, contributing for the sustainable development of the artistic environment through the union between non-governmental and local forces. Formerly known as the Horizon Theatre (Macao) founded in January 2, 2008, Macau experimental Theatre (MEXP) is a non-profit theatre company with the mission to promote local theatrical art and enhance (local) performers’ professionalism and techniques. 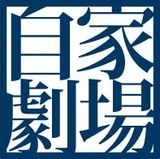 it has presented more than 30 dramas, such as One Good Person and The Golden Dragon respectively featured in the 23rd and 24th Macao Arts Festival,and having our own theatre seasons every year since 2013,recently we concentrate on New Writing plays and music theatre, create and produce “The Guitar Man” and “Mr. Shi and His Lover”(Macau-2013,Taiwan-2015,Beijing-2015,Toronto-2016). Over the years, the company has gained huge experience in performing and achieved good results duly recognized by the theatre industry. Widely acclaimed by theatre experts from China, Hong Kong, Macao, and Taiwan.